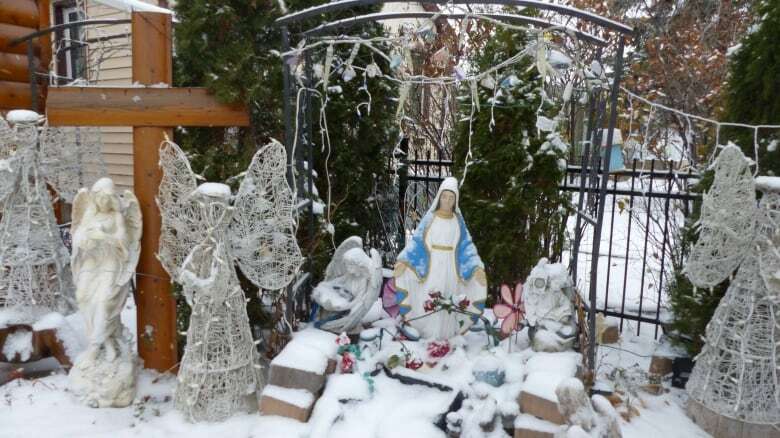 Shirley Oleskiw’s ornate yard draws people from around her Regina neighbourhood. 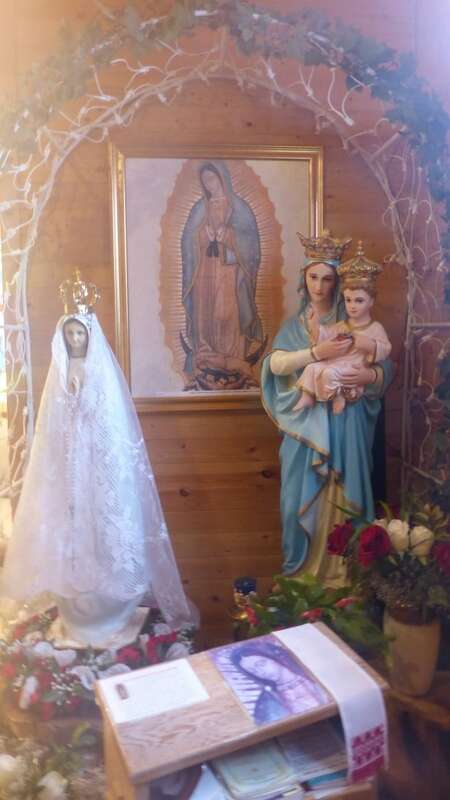 But it’s a small chapel attached to her house that draws visitors from all over the world. Shirley Oleskiw's yard always has something extraordinary to look at. From late October — just in time for trick-or-treaters — through November, passersby will find an army of glowing angels, a giant cross, painted statues of the Virgin Mary, twinkling blue and white snowflakes, and streams of lights that trickle down the front of her large log house. 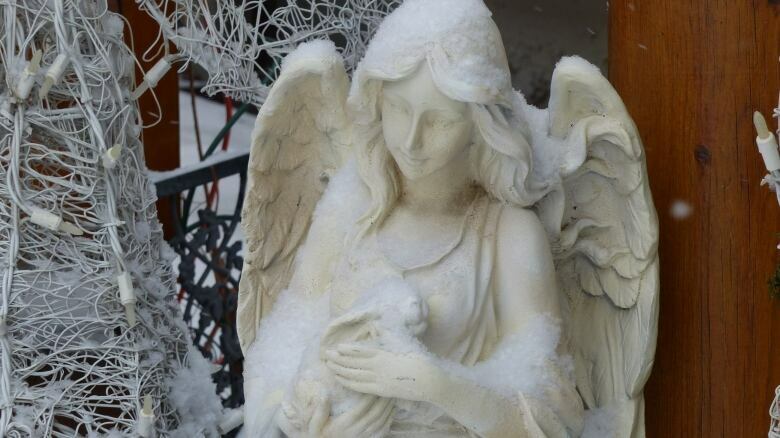 "The change of season is difficult for many people," said Oleskiw. "So, the snowflakes give the feeling of peace." For Oleskiw, it's not a question of whether or not it is too soon to decorate. Rather, it's a question of what's next. Her garden goes through a yearly rotation of season- and holiday-based decor. Many people in Regina's north end enjoy the yard for what it is on its surface: a luminescent spectacle. But, really, the yard is an extension of Oleskiw's faith and the rare prayer centre that lies under the same roof as her home. 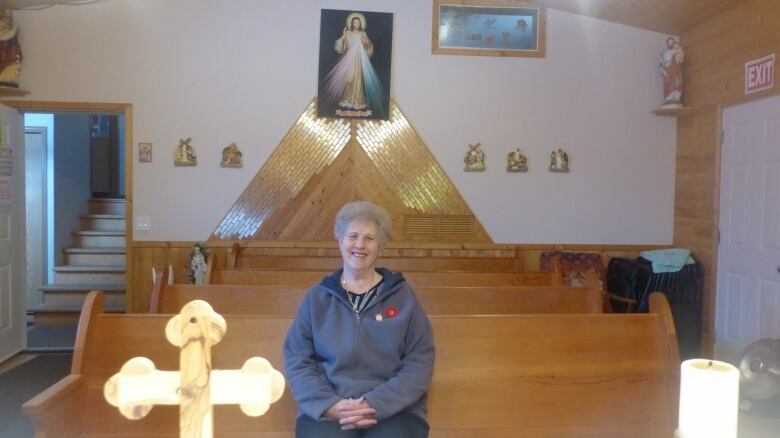 Oleskiw opened a prayer centre in her home in 2007, but the origins of that effort date from many years before that. 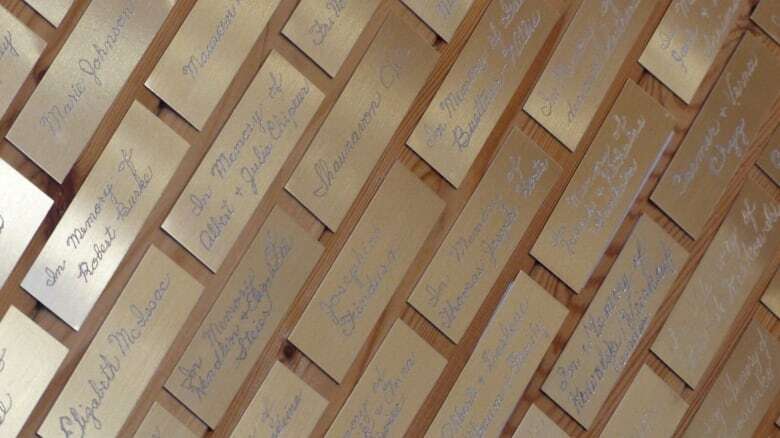 In 1976, Oleskiw was a journeyman carpenter — the first woman in Saskatchewan to have her papers. 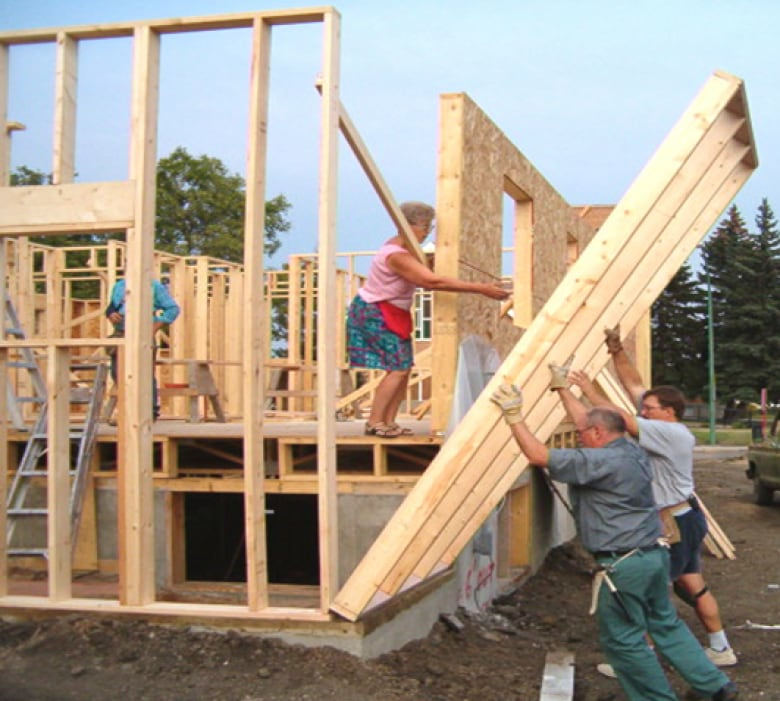 Oleskiw said for a decade, she and her husband enjoyed a busy life building houses. Then, in 1987, she had an accident at the dump and broke her neck. "From working 18 hours a day to zero ... it was pretty traumatic for me," she said. 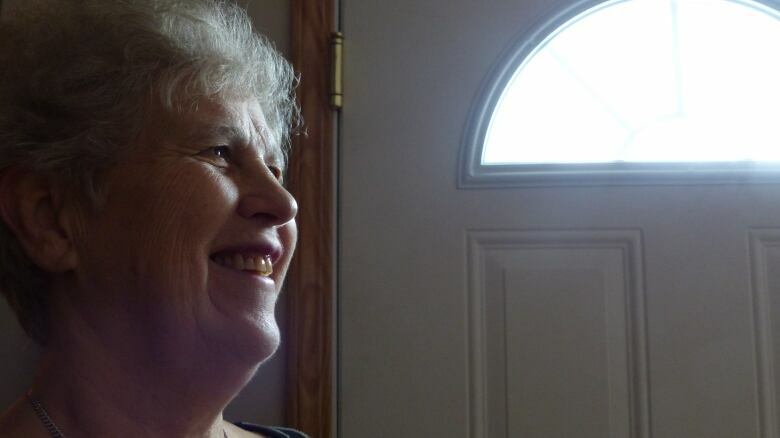 For decades, Oleskiw lived with severe pain and little ability to move freely. During this time, she said she began to focus her energy on her Christian faith. She began to pray regularly and became more involved in her local faith community. Oleskiw said through these efforts, she discovered a Polish nun, Helena Kowalska, who later became a famous Catholic figure: St. Faustina. Catholics believe that in the 1930s St. Faustina received a directive from Jesus to spread a message of mercy throughout the world. Catholics also believe St. Faustina, through her message of "divine mercy," has the ability to heal. 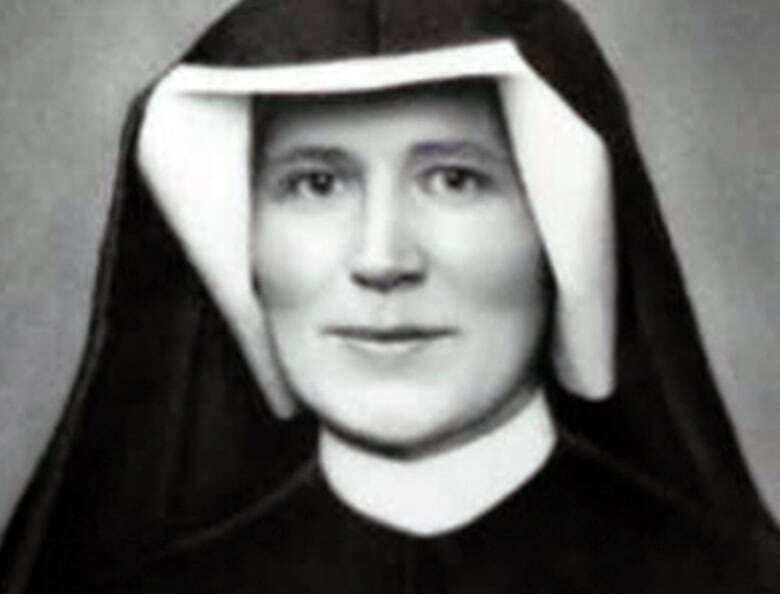 Oleskiw said she began to pray to St. Faustina, asking to be healed. 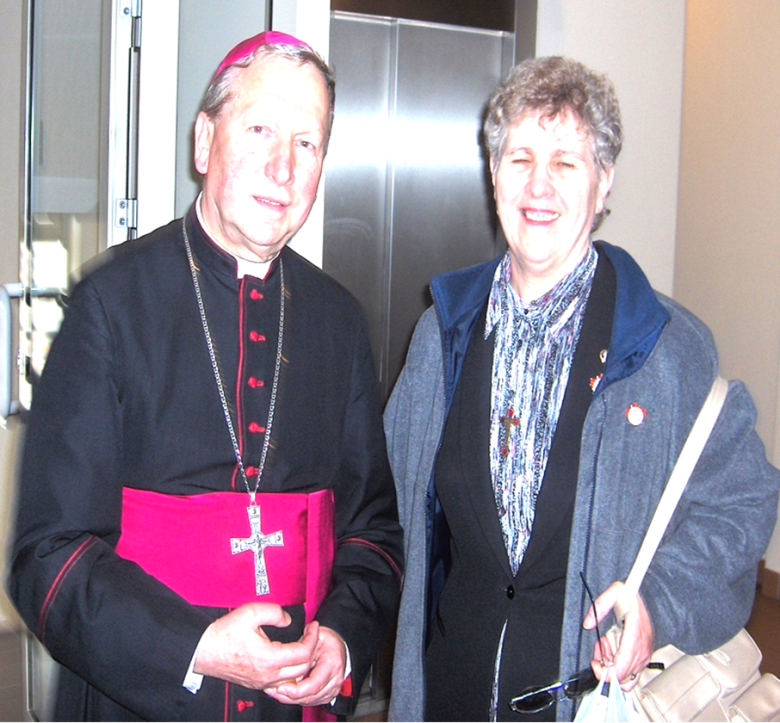 In 1996, she made a trip to Poland to visit the Divine Mercy Shrine: a place that draws visitors from all over the world who come to pray to St. Faustina. 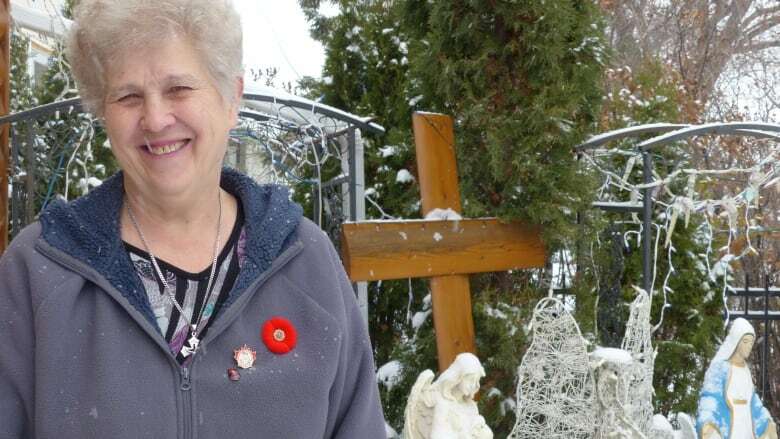 Oleskiw said the answer to her prayers came on Easter Sunday in 2001, when the pain left her body. She visited her doctor, who was unable to explain her recovery. Oleskiw believes this change was a direct result of her prayers to St. Faustina. "It was really a miracle, for me. It was just really unbelievable." Soon after, Oleskiw said she began to pray to God and St. Faustina to ask what she could do in return for her healed body. Oleskiw said "she asked me to build this building, this centre where people come to pray, and I kind of was like, this is impossible. We have no money. We have nothing." Despite her reservations, Oleskiw said she decided to follow the directions she had been given. Little by little, she and her husband began to build the Eucharistic Apostles of Divine Mercy (EADM) Chapel. Oleskiw said they decided they would be custodians of the prayer centre, so it just made sense to build it as an extension of their home. In 2006, Oleskiw said she was gifted with two "first-class relics" of St. Faustina on two separate occasions. 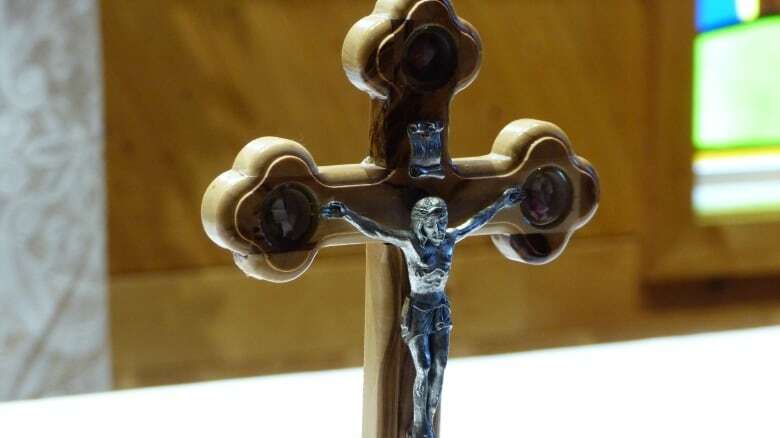 The rare, religious items are pieces of bone and skin from St. Faustina's remains. 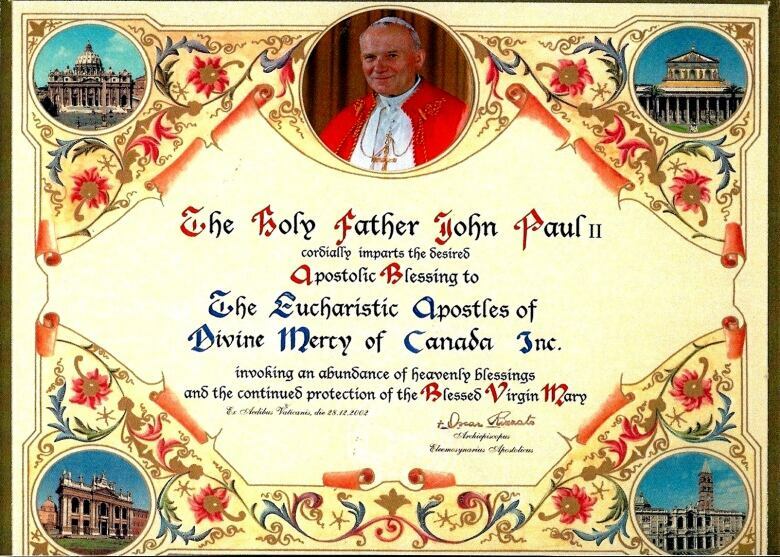 These relics were distributed to Catholic leaders following St. Faustina's canonization in 2000. 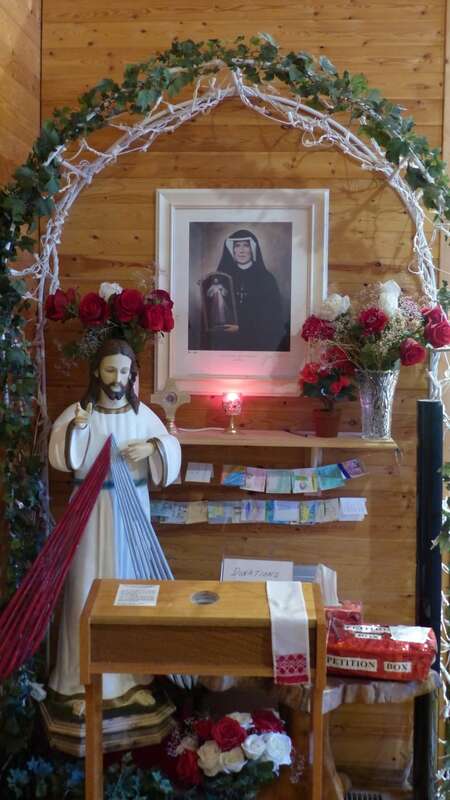 A corner of Oleskiw's prayer room is home to the shrine to St. Faustina. Church pews fill the centre of the space, and warm, wood walls are adorned with ornate stained glass windows, made on a whim by a friend of a friend. Rev. James Owolagba of the Archdiocese of Regina said Oleskiw was appointed by the 8th National Co-ordinator of the Divine Mercy Apostolate to be the representative of the Divine Mercy Apostolate in Canada. "I just so happens that she lives in Regina," said Owolagba. "The bishop approved that chapel to be downtown, to be closer to people so that people could go there and have adoration for the Divine Mercy." The chapel is the only one of its kind in Saskatchewan because of this designation. 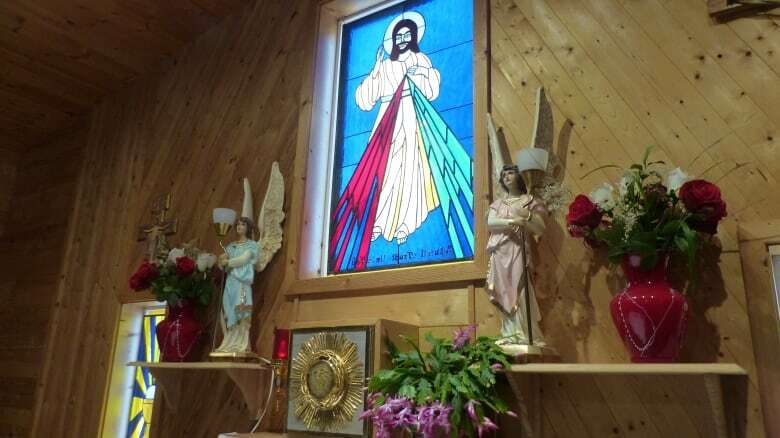 Now, anyone who wishes to pray to St. Faustina can come to EADM Chapel, on Hamilton Street in Regina, to do so. "We get visitors from all across Canada, United States, Europe," said Oleskiw. Oleskiw said strangers come to visit at all hours. Some people ring the doorbell; others have the key. "A lot of people come. It's all inter-denominational — all kinds of faiths come here to pray," she said. Oleskiw doesn't seem bothered by the irregularity of her life. On the contrary, she seems happy with her role as a "caretaker" of the chapel. Oleskiw said "thousands of miracles" have taken place in the chapel. She recalls some in which people received help with addictions issues; others were given longer than expected to live. There were so many miracles that Oleskiw said she decided to write a book, Miracles of EADM, recounting about 1,500 of them. Ten years after the prayer centre's opening, Oleskiw said she believes it serves a helpful purpose in the world. "A place for people to pause. A little bit of silence. Peace. We need peace in this world. And people find it here."